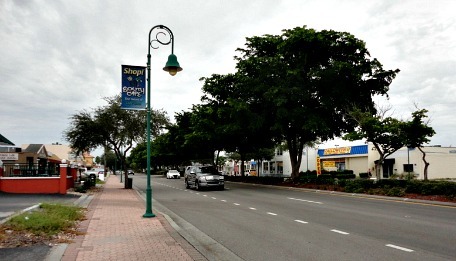 Cape Coral Shopping includes malls, outlets, shopping centers, boutiques, beach shops, markets, and everything in between! So many options, and not enough money! Cape Coral has several main shopping areas around town that I want to tell you about, and close access to big outdoor shopping centers and outlets in Ft Myers and beyond. And, let's not forget the smaller boutiques, shops, farmers markets, and art galleries, and waterfront shopping to buy that perfect gift, souvenir, or outfit ....... to sample local produce, or just to poke around for the shear joy of shopping! Around town, the main shopping areas are on Del Prado Blvd, Pine Island Road, Viscaya Pkwy, and Cape Coral Parkway ........... and streets parallel to it such as SE 47th Terrace, Lafayette, and Miromar Streets. This is where you'll find restaurants, shopping centers, strip malls, and shops of all kinds. You'll also find smaller strip malls with shops and restaurants on Santa Barbara, Skyline, Surfside, and Chiquita Blvds, and Hancock Bridge Pkwy. Some of my favorite Cape Coral shops and boutiques are at Cape Harbour, and Marina Village Resort ......... or out on the island of Matlacha where you'll enjoy the colorful buildings and art galleries. 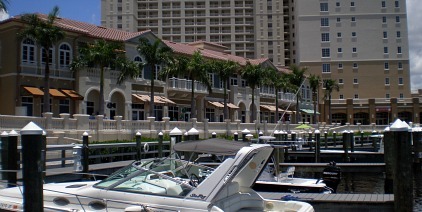 All are waterfront locations. Any type of shop and restaurant that you want can be found in Ft Myers on Route 41, the Tamiami Trail, from big box stores to car dealerships, national chains, furniture shops, and local businesses. 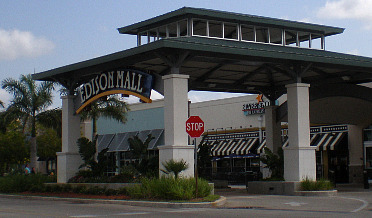 The closest mall to Cape Coral is the Edison Mall, conveniently located just over the Midpoint Bridge in Ft Myers. 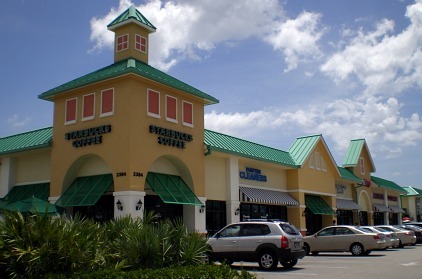 Also in Ft Myers is the Bell Tower Shops, an outdoor shopping center with shops and restaurants. Travel south of Ft Myers to Estero to shop at Gulf Coast Town Center, Miromar Outlets, and Coconut Point shopping outlets and centers. These places are huge, and I love the Mediterranean architecture, fountains, and being out in the sunshine while I shop. As for Cape Coral Malls, plans are in the works to build something on the order of those shopping centers, either on Pine Island Rd or in the Cape Coral Pkwy area. I think the Cape could use one, so we don't have to travel over the bridge to shop at our favorite mall stores! If you don't mind the drive to Naples, you will enjoy shopping at the Waterside Shops, Tin City, 5th Avenue, 3rd Street South, and Venetian Bay. 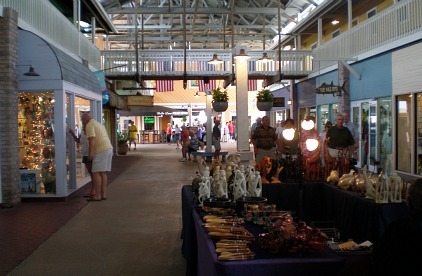 Go north to Punta Gorda to Fishermens Village to shop at an Old Florida style semi-enclosed shopping mall on the water. We also have a good selection of markets if you are looking for local produce, antiques, health food, crafts, bargains, and unique items. Then there are the famous Publix grocery stores, known for quality food and excellent customer service. Don't forget to check out my tropical and nautical designs on my Cool Beach Bags page! 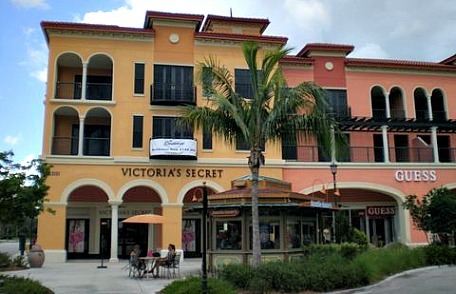 As you can see, shopaholics will have a blast with all of these Cape Coral shopping options!